The FIS Sports Program strives to offer students the chance to develop through sports. Through a wide variety of sporting opportunities, students will have the ability to grow physically, mentally, and socially. Teamwork, dedication, goal setting, and a sense of community are the main components of the FIS Sports Program. Coaches and staff members all teach the same sports’ philosophy focused on fair play, individual and team growth, and having fun. The Program offers opportunities for both international and local competitions for students from Grades 5 to 12. 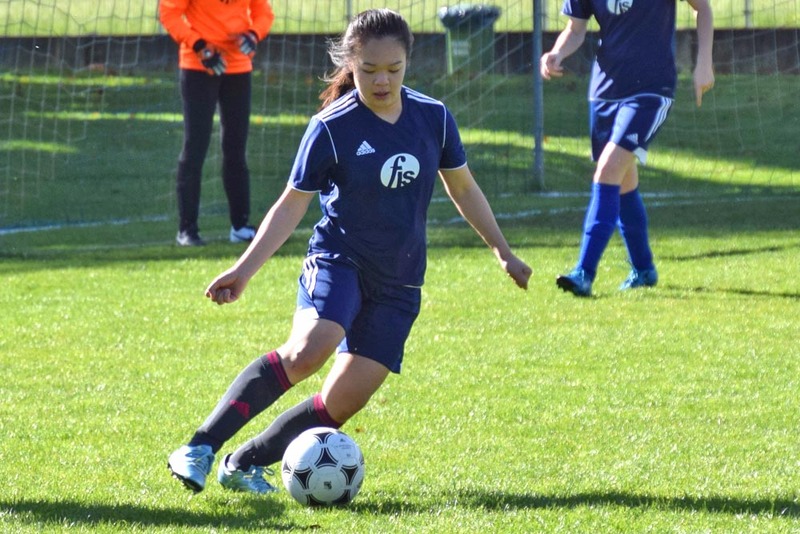 The FIS has been a member of the GISST (German International School Sports Tournament) since 2011, and competes with ten other international schools located within Germany. Soccer, volleyball, badminton, basketball, swimming, cross country and track and field are offered during the school year. Practices are held twice a week after school or once a week for the pre-season. Students from ages 10 to 13 play in the U14 League, while students from 14 to 18 years old play at the varsity level. Games and tournaments mostly take place on Saturdays and occasionally on weekdays. All students are encouraged to participate in the FIS Sports Program! Includes all training dates for all sports offered. The online registration for GISST 2018/2019 closed on September 15. In case you did not register your child before this date, but your son or daughter would still like to attend GISST training this school year, please contact Mrs. Fischer at mila.fischer@the-fis.de. You will receive an invoice at the end of the season for each sport category that you signed up for. Prices can be found on the Parent Portal. If you have any further questions or concerns, feel free to contact the Athletics Director, Mila Fischer, at mila.fischer@the-fis.de. We run a parallel U14 and Varsity Badminton program. The training sessions are twice a week, and open to 18 participants per age level. 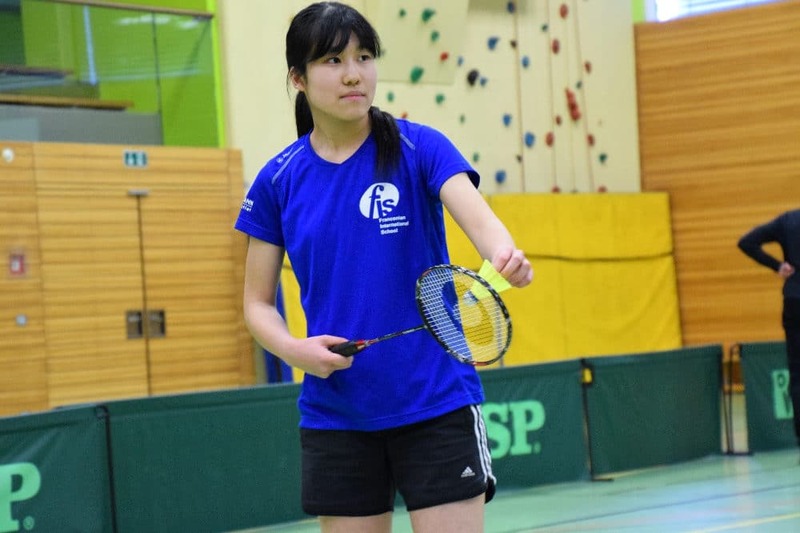 GISST Badminton teams of eight selected players, 4 boys and 4 girls represent the FIS at the final tournament to culminate the season. Basketball is a very popular sport among FIS students, and we have both U14 and Varsity boys and girls teams. 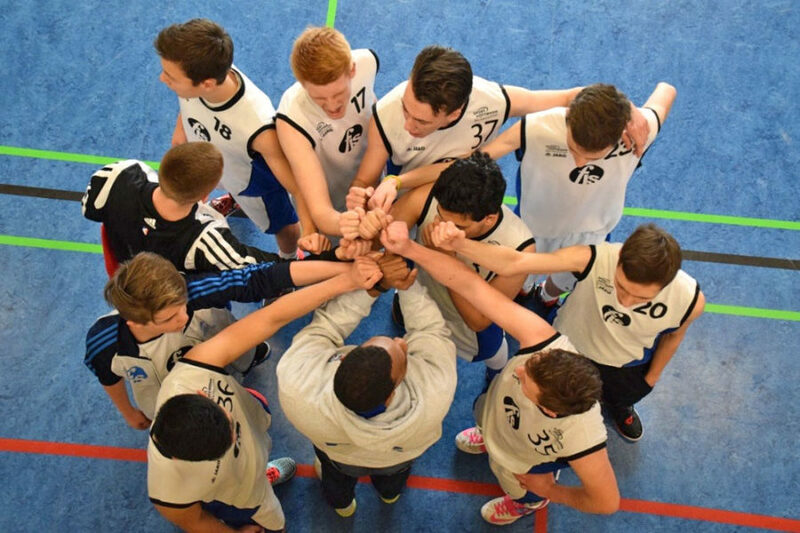 All our Basketball teams regularly take part in the GISST competition as well as City Championships (“Jugend trainiert für Olympia”). Sometimes we also organize individual training sessions or basketball camps during holidays. Football is the most popular sport at the FIS at the moment, with more than 80 active players from Grade 5 to 12. With our own regular size grass football pitch, additional facilities just across the street, and an experienced coaching team, the FIS provides excellent opportunities for boys and girls interested in football to further develop their skills. Even though the FIS doesn’t have its own swimming pool on campus, we offer a variety of swimming opportunities for students from Grade 2 to 12. The mixed group of intermediate, advanced and competitive U14 and Varsity swimmers trains in preparation to the GISST Swimming Gala. We also offer a competitive swimming training for students in Grade 2-5. The FIS has numerous GISST and Inter-School medalist and is looking forward to some more! 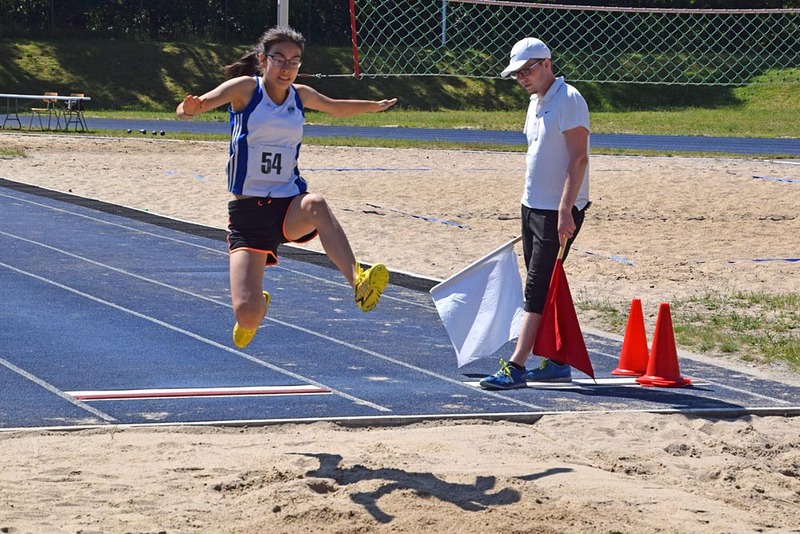 The Track and Field team is one of the most successful sports groups we have at the FIS. Our athletes from Grade 5 to 12 have been participating in the GISST competition for last 5 years, and have always demonstrated a great performance. 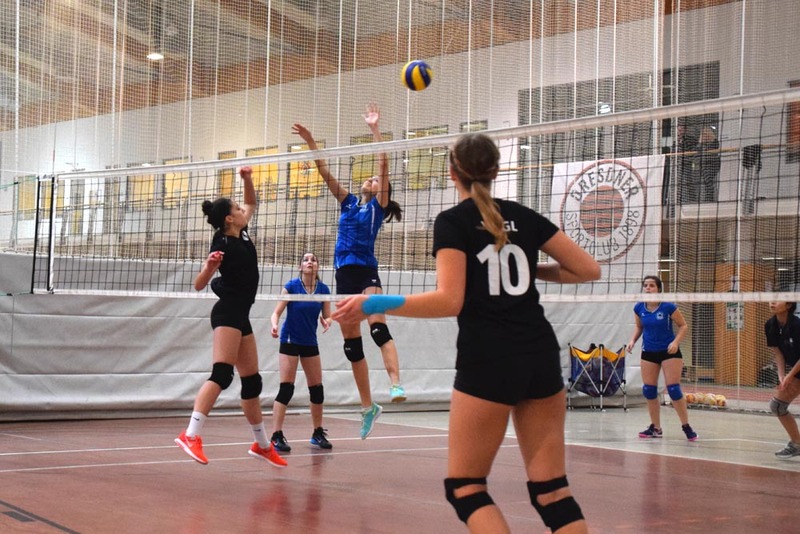 Welcome to the FIS – the home of the GISST Volleyball Champions! “The Blacks” (Varsity Girls) and the U14 Girls and Boys Volleyball teams, we are so proud of you! A relatively small group of boys and girls of all ages have represented the school at the GISST competitions since 2015. 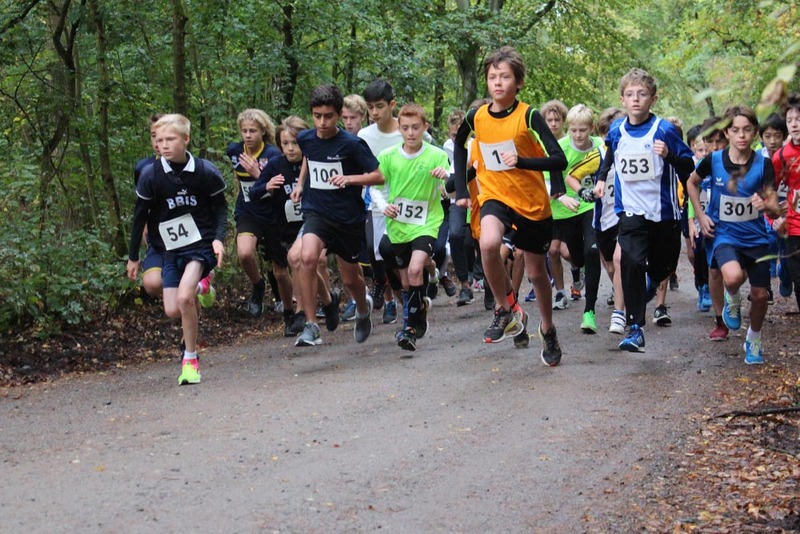 Even though still in development, our Cross Country team have already achieved success. Not only have we had medalist in all age categories, but we can also boast the GISST record holder in the Varsity Boys category – Matthew Williamson, 19:54 (2015). Welcome to the FIS – the home of the GISST Volleyball Champions 2015-2016!